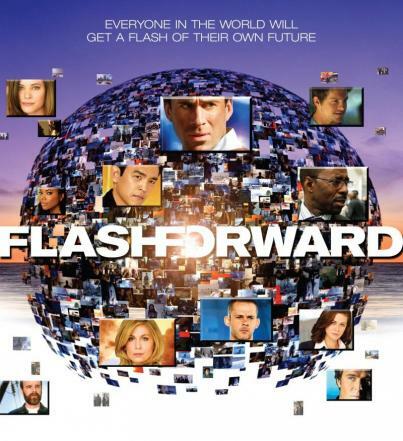 English Learner: FlashForward, Is it the Lost replacement? For dedicated fans of TV show Lost, such as myself, the sixth season brings both good and bad news. The good news is there will be answers at the end and the bad news is there will be an end!, as the producers already announced. But before it does, it seems that the channel owners are trying to find an adequate replacement, which is apparently going to be FlashForward. After the massive hype, the sci-fi drama FlashForward finally launched on ABC channel last Thursday. The big-budget series is based on the 1999 science-fiction novel by Robert J Sawyer, FlashForward. David S. Goyer, the director and one of the writers, is doing his best to make a master piece, appointing stars such as Joseph Finnes, who you might know by Elizabeth or Shakespeare in Love and I personally like his character, Adam, in Killing Me Softly, Dominic Monaghan, a british person playing a british person, who coincidentally provides a link to Lost in which he was Charlie, Finnes's onscreen wife, played by Sonya Walger, Penny in, again, Lost! And very brilliant John Cho, who you might recognize from the Harold & Kumar movies. The premise is this: one day, every single person in the world blacks out for 2 minutes, 17 seconds. This has devastating effects in the real world – planes, trains and automobiles don't drive themselves, after all; but what soon unfolds is that during this time, everyone has a vision of their own future. Not only that, but their visions are all of their future lives at exactly the same time: 10pm on 29 April 2010. by the end of first episode you will realize this, and that it is not just an accident and it seems some groups or organizations or … did it to people. The story will unfold from there, promising to look at whether the course of people's futures are changed by what they saw; whether what they saw can be changed by what they do, and what will happen to people who saw nothing at all. It seems like there are hundreds of different ways that this kind of concept can be explored and, hopefully, it will make the series intriguing. Although David S. Goyer and his writing partner Brannon Braga had the story arcs for five seasons planned out already before FlashForward was picked up by one of the networks, one worry, of course, is always that, being US television, FlashForward might find itself canceled in a heartbeat if the ratings aren't good enough, or adapted to fit the audience's whims if they don't like it. But – in theory at least – there could be enough confidence to see the show through. Just one thing. I am not sure we can use the phrase "might find itself canceled" with inanimate objects. I appreciate your comments, I have read a few of your recent postings. you are very energetic man, your blogs layout also looks nice. thank you, hope I would read your in future too. The premise is this: one day, every single person in the world buy essay | buy dissertation blacks out for 2 minutes, 17 seconds. This has devastating effects in the real world – planes, trains and automobiles don't drive themselves, after all; but what soon unfolds is that during this time, everyone has a vision of their own future.